Plus the first and third Saturday each month. 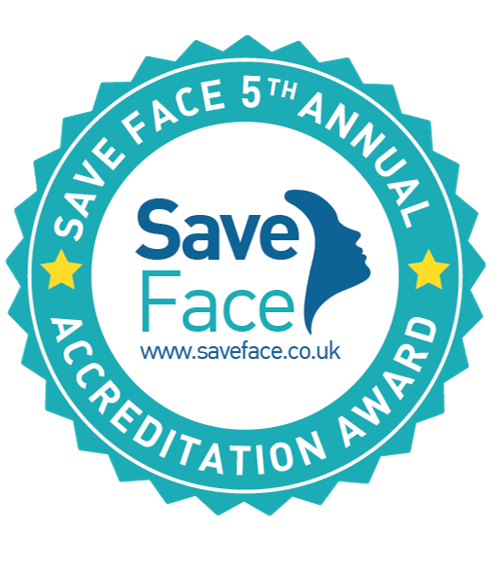 I specialise, and have over 18 years experience, in the use of lasers, Botox and many other injectable aesthetic procedures, having developed an interest in Cosmetic Dermatology during 1993. I joined MediZen as Clinical Director in 1999 as one of the very few medical practitioners in the UK to have undertaken clinical trials on the use of all 3 of the UK licensed brands of the world's most popular injectable cosmetic treatment, Botulinum toxin. Over the years I have sought and received personal training from worldwide experts in their field, including Dr Jean Carruthers, the doctor credited with first identifying the potential for Botox as an aesthetic treatment in Canada in the late 1980’s. As I have grown in my expertise, I have in turn enjoyed training other practitioners, and have personally trained over 1,000 Doctors on injection technique in the use of Botox for cosmetic purposes and excessive sweating, and the use of dermal fillers for facial contouring. This has led me to be recognised as an International Key Opinion Leader and I have been appointed a Local Country Ambassador by Allergan (the world’s largest cosmetic injectables supplier and the manufacturer of Botox). This means that I also travel widely, training and mentoring other medical practitioners on the safe and correct use of botulinum toxin and dermal fillers. Over the years I’ve been asked to help people who have received incorrect or poor treatment from other providers and am now recognised as an expert in managing complications of injectables, receiving referrals from other practitioners on the rare occasions things do not go as planned. I am an active member of The British College of Aesthetic Medicine and have an international reputation for being an entertaining speaker, lecturing on the subject of aesthetic medicine in both the UK and abroad. Had a Hydrafacial treatment at Medizen and I can’t get over how amazing my skin feels and looks! I suffered with dry skin but now I am glowing, It’s a lovely treatment. Staff were so were so welcoming. I am not the type of girl to worry too much about her appearance – I’m not into reading beauty magazines and I can honestly say I’d never really thought twice about visiting a cosmetic clinic until a year or so ago. I have always found shaving a hassle. I’ve always found the routine tedious and always had to double check if I had a few spare razors when I went off travelling, but apart from waxing (ouch!) or depilatory creams (do they actually work for anybody?!) I didn’t know there was any other way. Shaving seemed to keep the hairs at bay for a few days so I stuck with it and resigned myself to thinking; ‘I guess this will have to do’. About a year ago I stumbled across an article someone had shared on Facebook about the cost of shaving – it was actually a blog written by MediZen that stated that the average woman spent around £20,000 on average shaving her legs over a time period of around 49 years – that’s around 170 days shaving your legs over a lifetime – eek! I decided there and then that I would look into other options and discovered laser hair removal. I was cautious at first, hence why it took me about a year from reading the article to actually coming to MediZen for treatment, and making the decision to physically come into a cosmetic clinic and get treatment was a bit scary so I did my homework thoroughly. MediZen have a great guide to laser hair removal which I downloaded for free and they have practical tips about what a person should look for when thinking about investing in the treatment. I researched costs and the practicalities of what was involved, I watched videos explaining the treatment and also read through independent reviews of both the clinic and the treatment. I learned that MediZen are considered the premier laser hair removal clinic in the Midlands and their clients, awards and money invested into staff training and their equipment was unmatched. I was impressed with what I had learnt and the fact that they also had an easy payment method for laser hair removal packages made me pick up the phone. After I had decided it was the right treatment for me and that I would give it a go I have never looked back, from the first phone call to book in for my patch test and consultation the girls took fantastic care of me. Lucy, my practitioner fully explained the treatment and what was going to happen and really put me at ease as she explained how she herself had also had treatment. The treatment itself was absolutely painfree and I couldn’t help wondering why I had been so nervous beforehand! The feeling of the laser on your skin is something like a deep tissue massage, it was a warm sensation and quite pleasant. As soon as Lucy had finished the treatment I jumped up to try and see the difference it had made – Lucy then explained what would happen next and that the effect would be seen after about 2 weeks. After about a week and a half I did my usual shaving routine (diligently once every 2-3 days) and noticed the hair was slower to grow back, in fact I couldn’t see signs of regrowth for about 6-7 days. I was over the moon at that point and as I have progressed through my package the results have only continued to improve. I honestly can’t recommend the treatment and MediZen enough!! Friendly and professional staff, always a wonderful experience visiting this clinic. I would highly recommend! I’ve always been self-conscious about my double chin from a young age, even when I was at my slimmest. I was so excited to hear about CoolSculpting. I haven’t been disappointed – It’s AMAZING! I’ve achieved results with relatively no pain and no down time. I noticed the difference after just a couple of weeks then, after 3 months when I looked at the before and after photos, I almost cried, I was overjoyed with the results! I can confirm I am happy with the experience and happy to share with others, my treatments have seen great results. Skin feels like it is glowing after the facial. Sarah was lovely and put me at ease as I hadn’t had one before. My first HydraFacial – I really enjoyed it and it was very relaxing. Sarah was lovely and very informative through every step. My skin feels a lot softer and brighter already. Wonderfully relaxing treatment with an instant result. My skin felt really ‘dewy’ and had a radiant glow. Dr David was fantastic. So happy with my Botox results. I will definitely be visiting again. Absolutely fantastic service, highly recommended. MediZen is amazing! I came to MediZen as I read Tatler which recommended Dr David Eccleston and the team as the go to clinic in Birmingham. The team at MediZen were amazing, they made me feel immediately at ease. The clinic is easy to find and the girls there are brilliant – they put me at ease right away and I am thrilled with my new look! I highly recommend MediZen and have been telling all my friends about them!! 5 stars! The staff are excellent. Very welcoming and the treatment I received is the best. I would recommend Medizen to anyone.